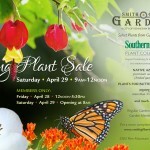 Smith-Gilbert Gardens hosts its Spring Plant Sale on April 29th from 9:00 AM- 12:00 PM. Find the perfect plant for your own landscape and garden! Featured plants include: plants propagated from our collection, native azaleas, camellias, plants to attract butterflies and bees, plus more than 30 varieties of peppers. The Spring Plant Sale will be staffed with knowledgeable horticulturists to answer questions and give garden advice. 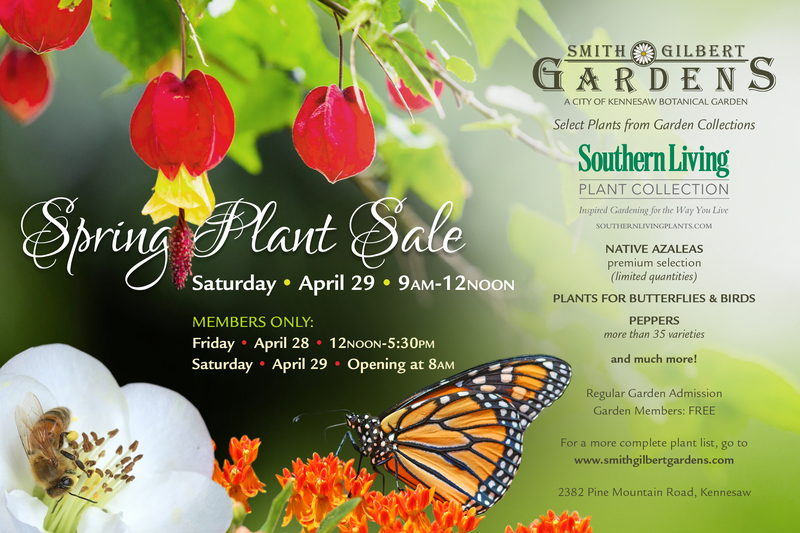 MEMBER EXCLUSIVE: Early access to Plant Sale on Friday, April 28th from 12:00-5:00PM, and 8:00 AM on Saturday. MUST PRESENT MEMBERSHIP CARD TO PURCHASE PLANTS DURING THESE TIMES! Split payments will not be permitted. Ticket prices are $7/adult, $6/seniors, $5 for children 6-12 and children under 5 are free. Members enjoy free admission. The Spring Plant Sale is a rain or shine event. Parking is limited and carpooling is encouraged. Visit smithgilbertgardens.com or call 770-919-0248 for complete details. Smith-Gilbert Gardens is located at 2382 Pine Mountain Road in Kennesaw. Special Thanks to the following organizations and individuals that donated plants for the 2017 Spring Plant Sale. Cercis canadensis ‘White Water’ first time offered white weeping Redbud! Endangered Chestnut Tree, we are working with The American Chestnut Society to re-introduce this majestic tree back to the landscape with these fungal resistant cultivars!